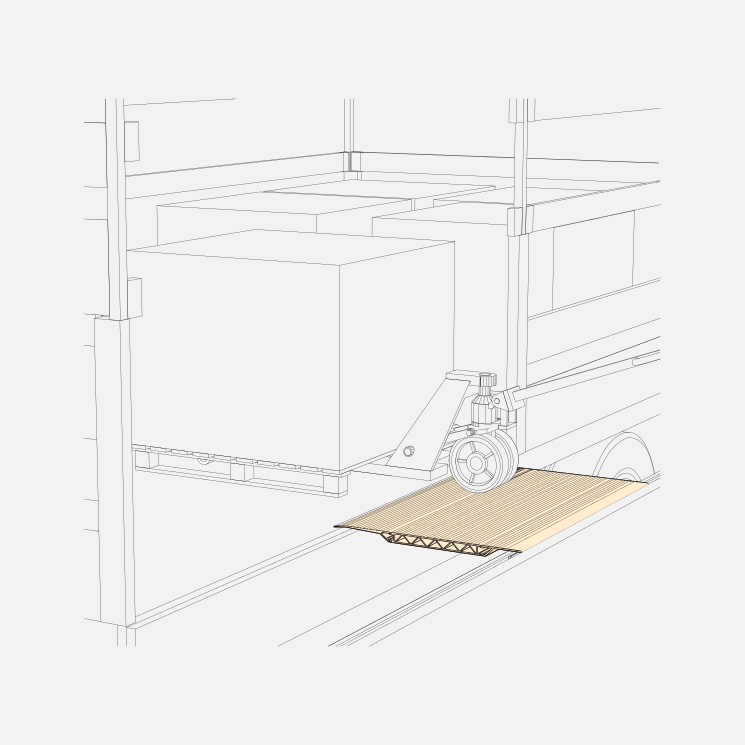 In the area of docklevellers, we are constantly developing new products and improving the functionality of existing solutions. 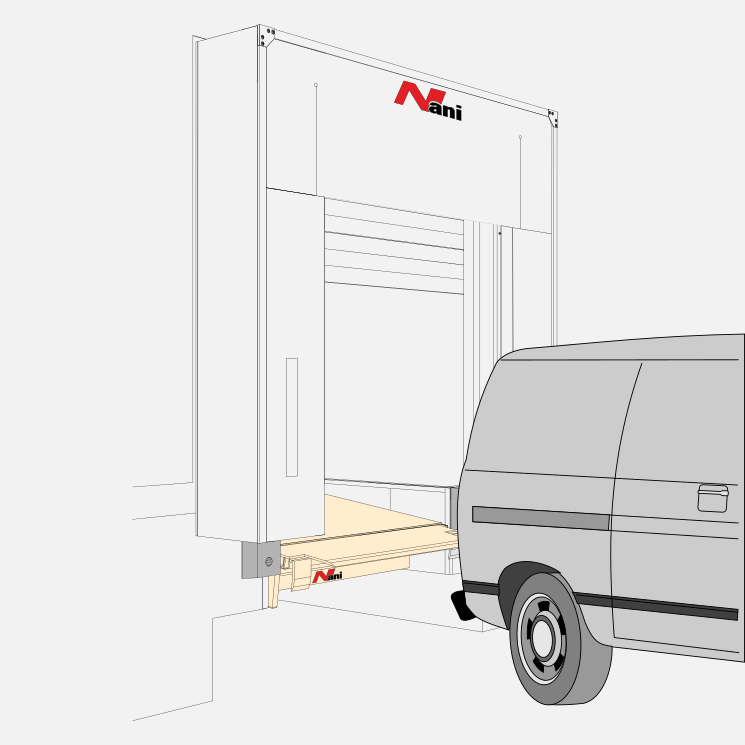 The exeptional quality of these new types of dockleveller have been designed by a team of technicians who have many years of experience in the loading equipment field. 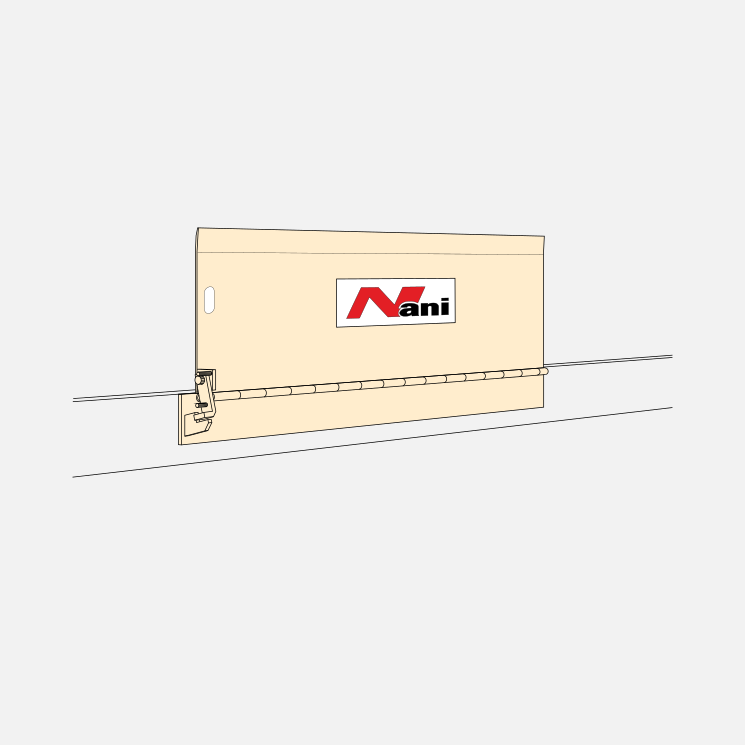 The new NANI docklevellers comply with all the european safty standards. 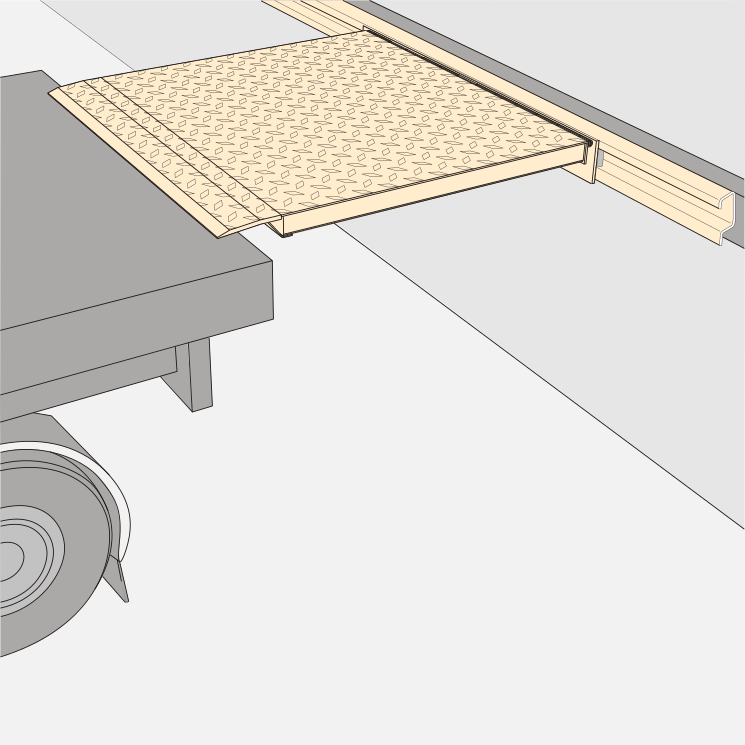 Regulation DIN 15126 applies for docklevellers, and ZH 1/156 for docklevellers and mobile ramps. NANI has also used the latest VDE regulations. 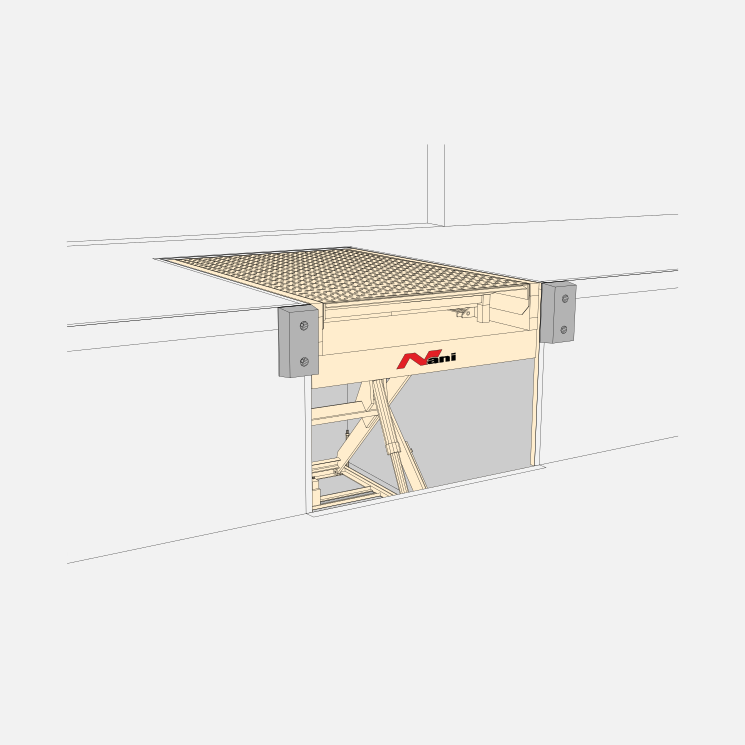 The steel sub-frame can be installed prior to the dockleveller being placed in position. 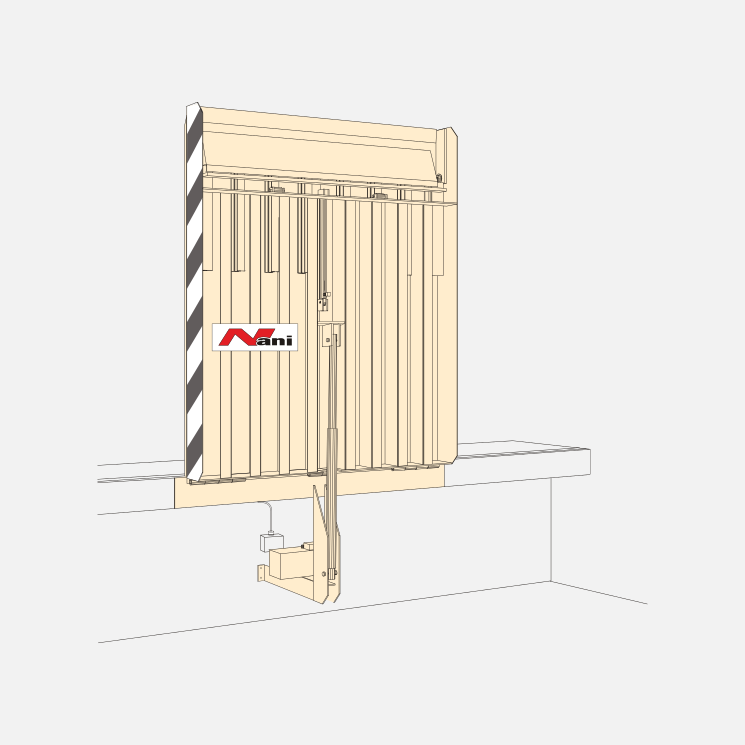 Installed in this way it avoids problems of concrete overspill getting into the mechanism of the dockleveller, cylinder rams and seals, Hydraulic components and the electrical equipment. Protection of the vital components at this stage ensures a longer life for your investment. 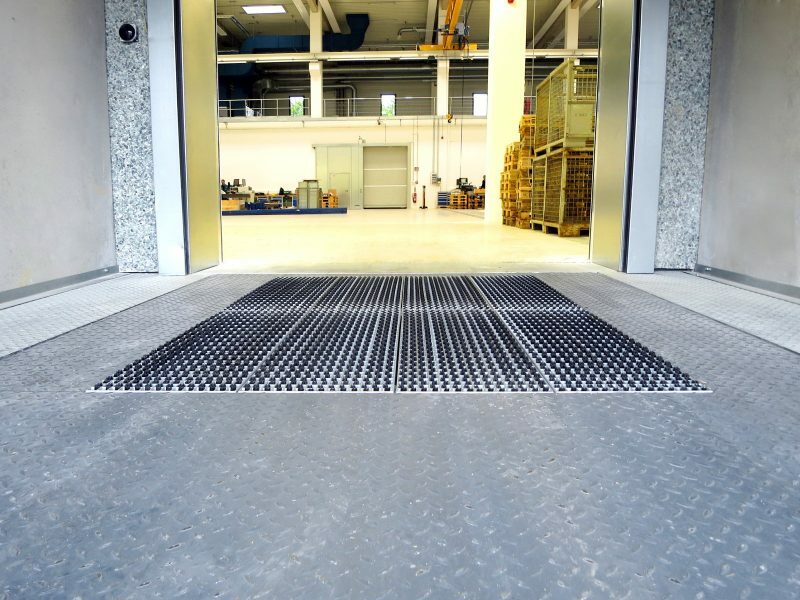 The ingress of concrete residue and dust can cause many problems in the early life of a dockleveller if it isn ́t protected when installation takes place. The in-front-framing system is also outstandingly suitable for concrete parts as the frame is simply inserted into the concrete molds, as well as for vacuum concrete floors. The platform is manufactured from high tensile steel tear drop plate with minimum thickness of 8 mm with longitudinal angle supports on the under side. Side supports are of 6 mm thickness. This unit is welded together using the most modern welding techniques. 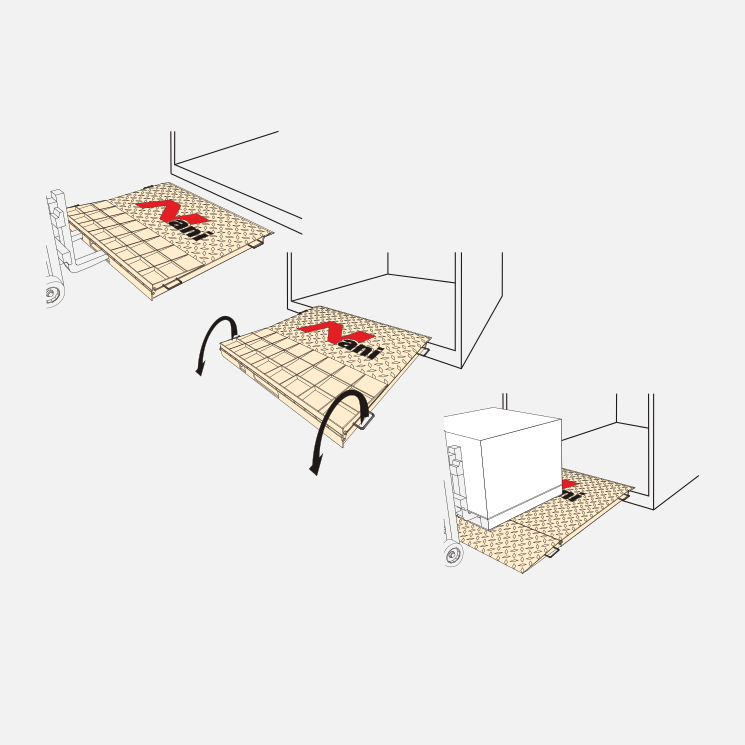 the platform is constructed in such a way that when installed and commisioned into your loading bay, it will adjust itself by way of lateral flexing to any vehicle bed with a sideways slope. 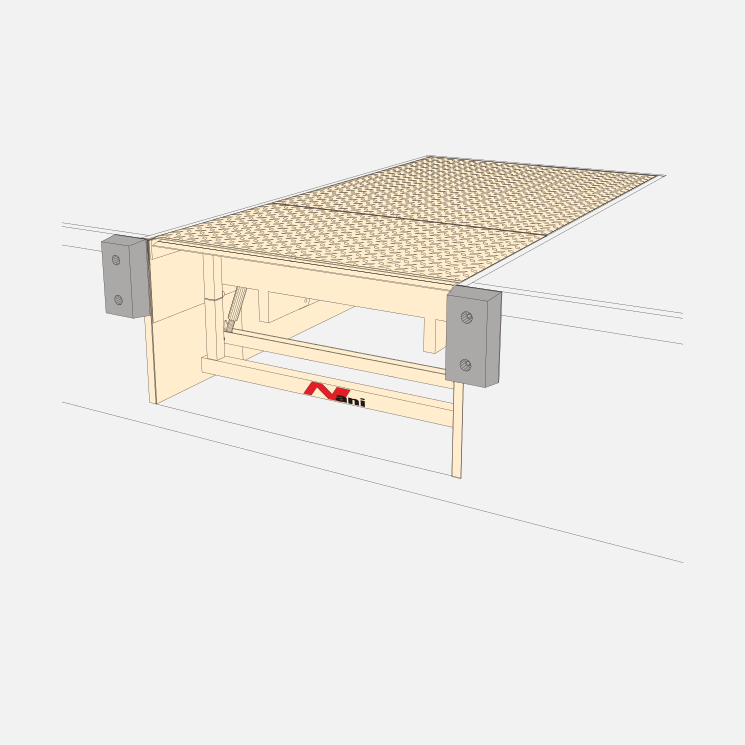 After completing a sideways operation the platform will return to the normal horizontal position. The dockleveller is supplied with large rubber buffers, these being manufactured from recycled material. Black and yellow warning stripes are painted on the side supports to warn forktruck drivers if a leveller is in the raised position or to show pedestians a warning of either tripping or a danger of foot shear. The lift cylinders are mounted in pairs, the base being to outer edge of the base frame and the top to the underside of the platform but angled towards the centre. The cylinders are positioned in this way to give a safer balance in the unlikely event of a hydraulic hose failure. The extending platform is mounted on 6 No. steel rollers each with integrated maintenance free roller bearings. 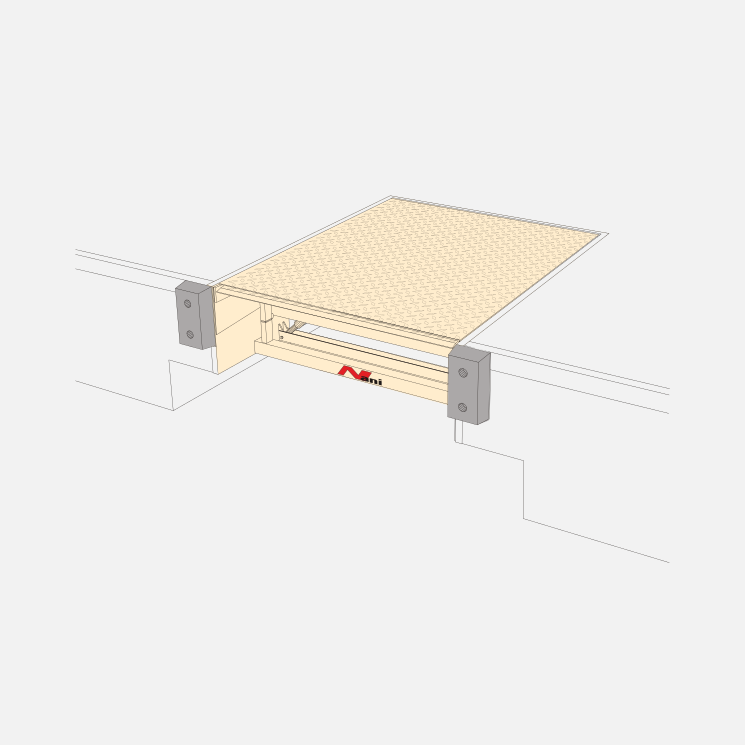 This system ensures smooth and quite movement when either advancing or retracting the platform. This unit is of the compact type and has a 1.5 KW electric motor. The motor is oil submerged which helps to reduce wear and tear on the drive mechanism. This system also helpes to cut the possibilities of the motor overheating. The hydraulic oil is as would used in deep situations. 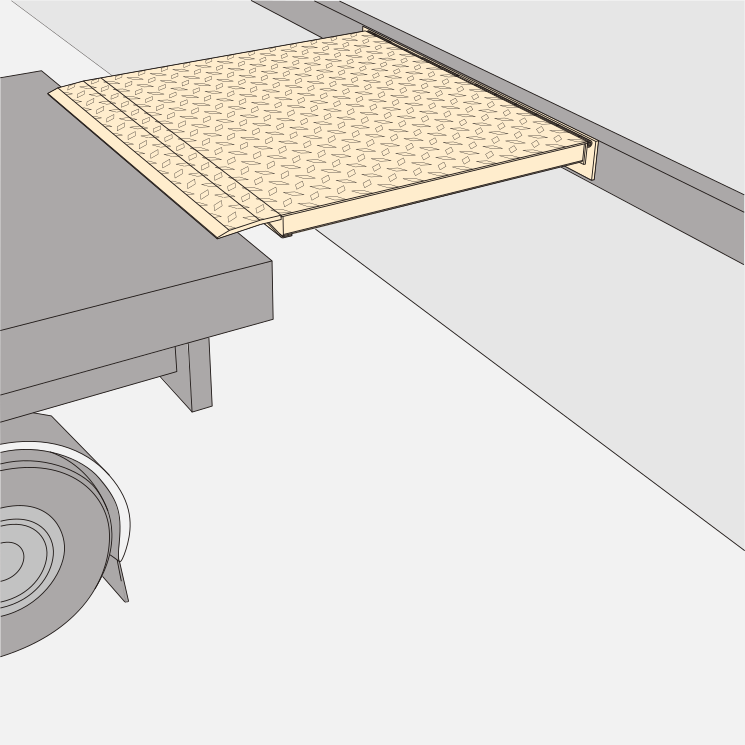 In all working positions the platform is allowed to float to stay in contact with the vehicle bed. This is controlled through a series of valves in the valve block and electronics in the control box, giving a safe working situation at all time. The control box has 2 No. push buttons and a lockable isolator switch is also attached. All functions are controlled via microprocessor, thus giving infinite control of the dockleveller at all time. In turn giving a safer and longer life span to your system. All steel parts are anti-corrosion treated before paint is applied. Paint is applied with a base coat anti-corrosion system and a final top coat to give protection and an eye pleasing finish. The undercoat and the topcoat are a two-component lacquer, which is sprayed with a layer thickness of at least 100 μm and thus offers increased corrosion protection and good wear protection. Furthermore, the lacquer has a good anti-slip effect. The lacquer system itself is a water-soluble, specially developed for overseas containers. This is an ecological coating for which we also have a certificate that that proves the physiological safety. It is free of pollutants and heavy metals and can also be used in the food sector. In addition to the corrosion protection options achieved by lacquering, we also offer all our products in hot-dip galvanized design or for areas where this is not sufficient (meat loading, clean room) even as a complete stainless steel construction. Docklevellers in mixed areas, which are used around the clock, often cause anger with the neighborhood due to the noise. 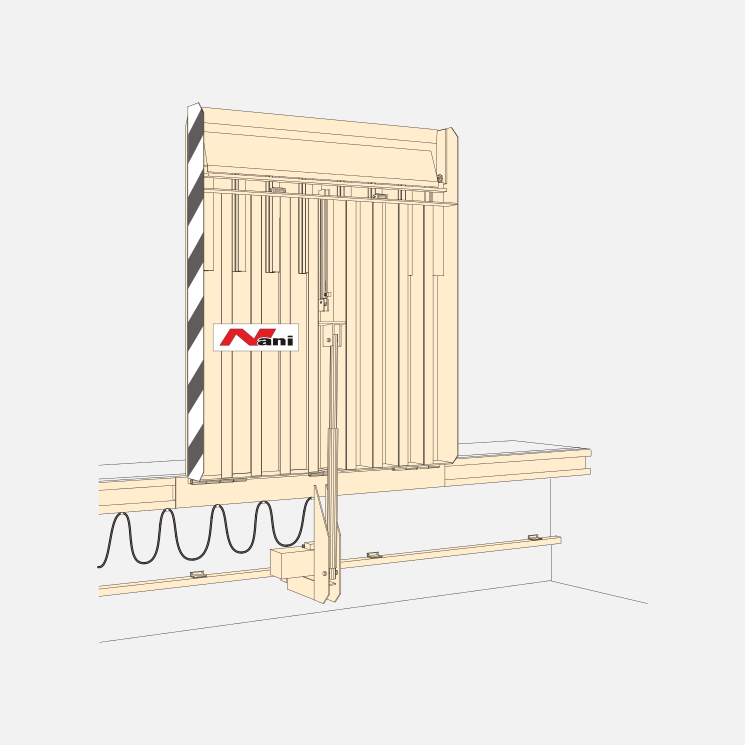 For such applications, we have developed a number of measures for better isolation of truck ramps and gates to improve sound insulation. This can lead to an improvement of up to 12dBA and more. 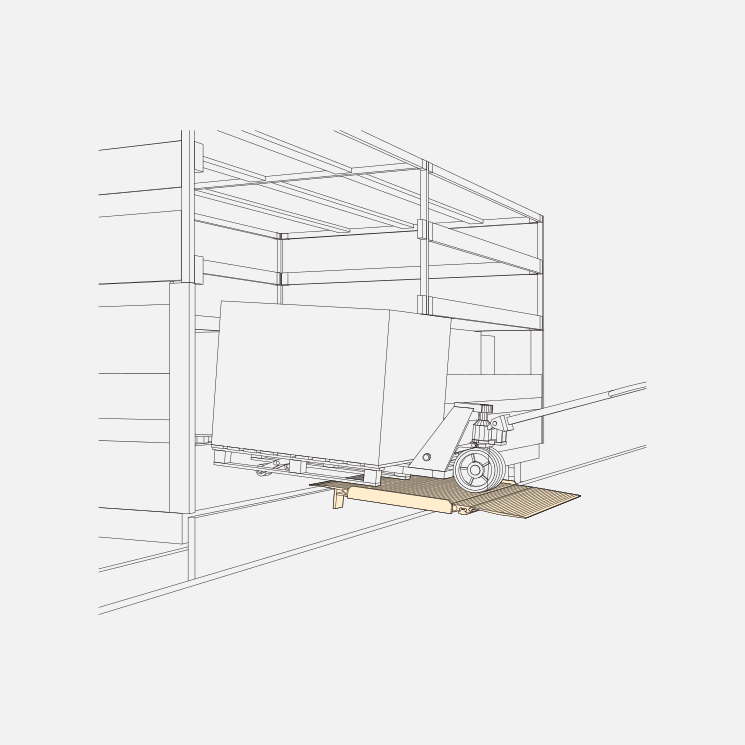 Particularly in production plants in which directly behind the dockleveller is physically worked, drafts at the loading ramp is a problem. We have different possibilities to reduce this in the existing buildings and especially in the new buildings, or to completely avoid it. This is especially relevant to the temperature-driven logistics with the requirement of an uninterrupted cold chain, in the context of energy efficient buildings. Big-dimensioned plateaubearings spreadn the forces at the connection to the hall floor extensively and in that way optimally. The lifting cylinders that are placed far ahead, across the plateau-axis effect the best possible force-abrasive. Through this kind of cylinder placing result no horizontal forces at the connection to the hall floor (as at the common places for the cylinders transversely an parallel to the plateau-axis). The cylinder are on both sides bedded in swivel heads / universal joints. This kind of cylinder placing has a special advantage in the so-called emergency-stop case, because high forces have to be transfered into the building especially at this case. Furthermore gets the plateau with the fork-lift truck on it optimally supported through that! The telescopic lip is 6-fold roll-bedded ( that means, that while the forward- and backward- driving of the telescopic lip runs no “steel-on-steel” and so there are no grinding- or squeaking sounds; better corrosion protection, because the varnish-layer does not get damaged; longterm life-span). 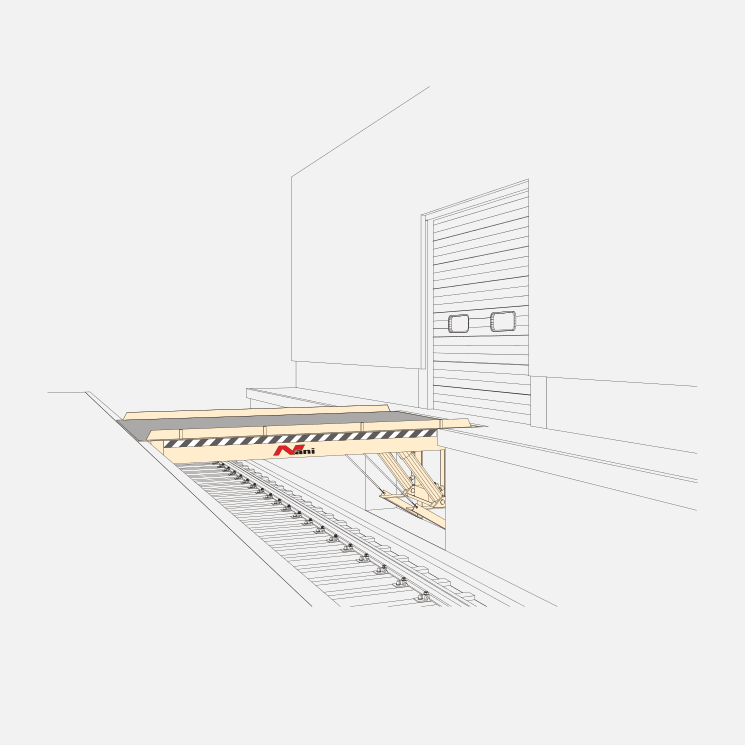 An extremely important aspect of the use in a mixed-use zone is that through that is and extremely quiet working of the dockleveller guaranteed. To this also contributes the serially used under-oil-unit, which guarantees a very quiet engine operation. The lower speed is adjustable through a restrict. The system gets protected through an adjustable pressure control valve against an overcharge. 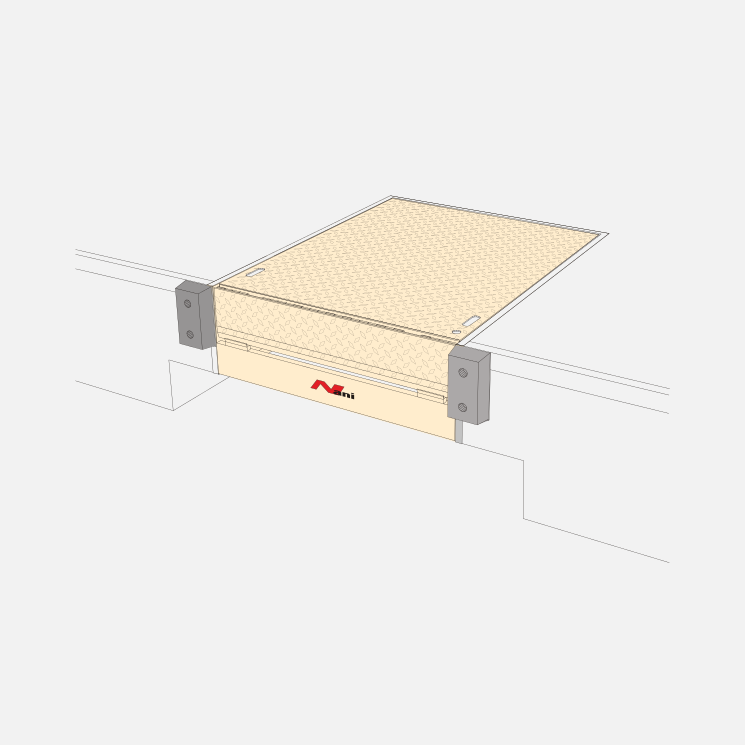 Serially big-dimensioned buffers ( 450 x 250 x 110 ) protect the ramp and the facade much better and longer than the common used little ( i.e. 400 x 80 x 70 ) rubber bars. The cylinders are serially provided with burst pipe protection.